The Compass Module 3-Axis HMC5883L is designed for low-field magnetic sensing with a digital interface. This compact sensor fits into small projects such as UAVs and robot navigation systems. 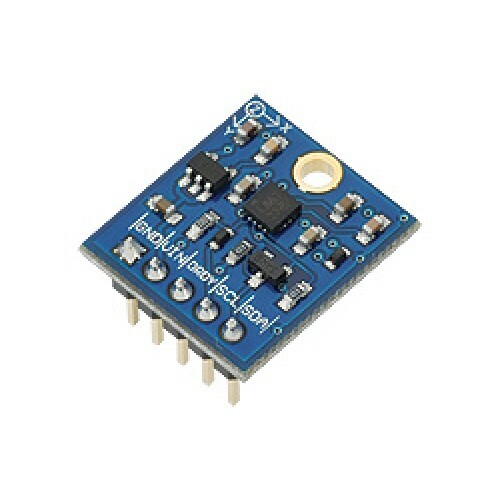 The sensor converts any magnetic field to a differential voltage output on 3 axes. This voltage shift is the raw digital output value, which can then be used to calculate headings or sense magnetic fields coming from different directions.